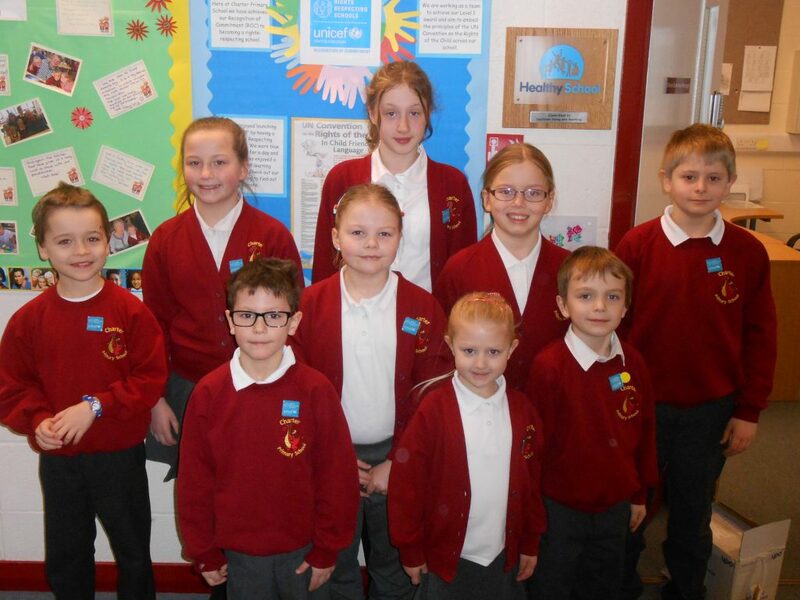 As a school, we are excited to have received the Silver Award for our RRSA (a copy of our accreditation report can be viewed by clicking here).and are now working very hard towards the Gold award which we are hoping to achieve by the end of May 2019. 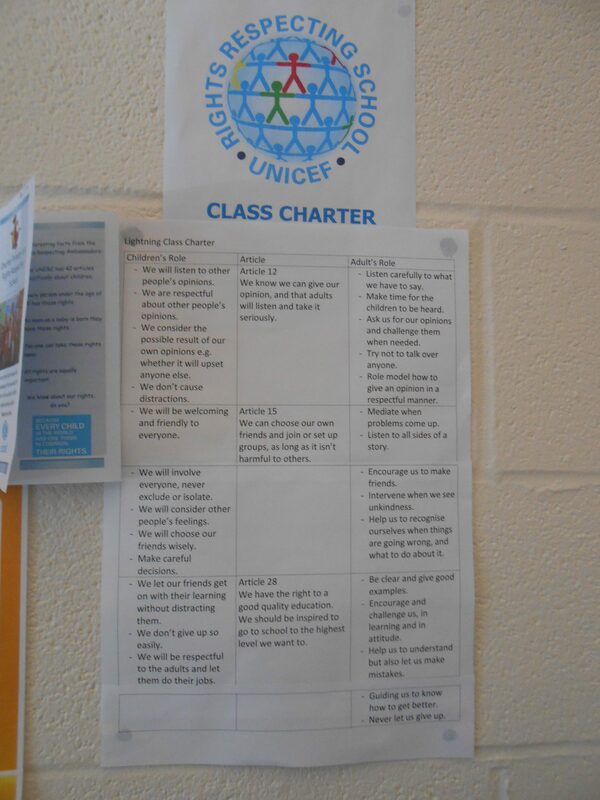 The fundamental principles of this award echo our own. 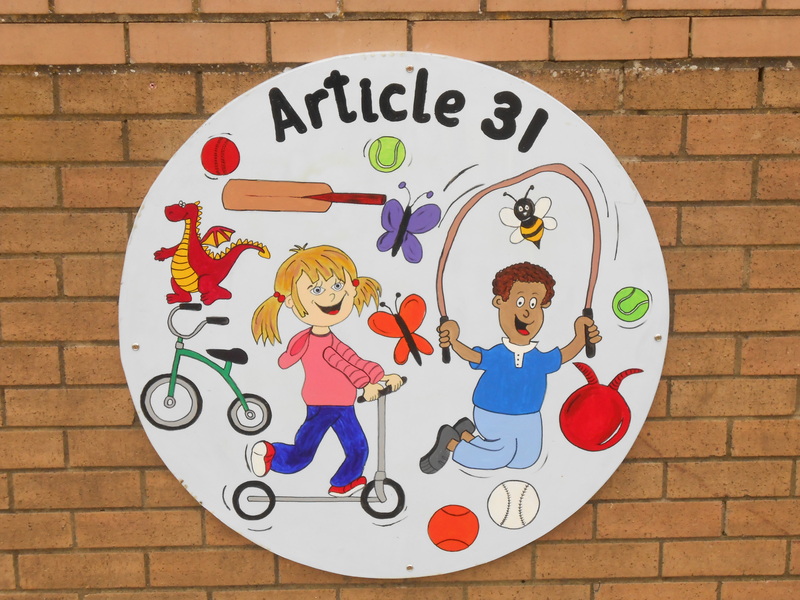 We believe that every child has the right to understand the convention for the rights of the child and know that their voice should be heard. 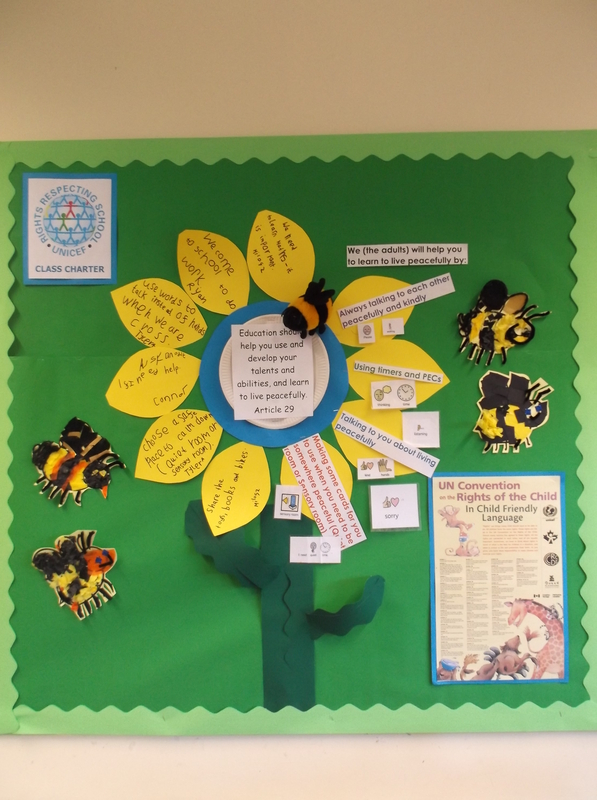 We are working towards the articles being at the centre of every decision and step that we take, with the children being centre and first in all our actions. 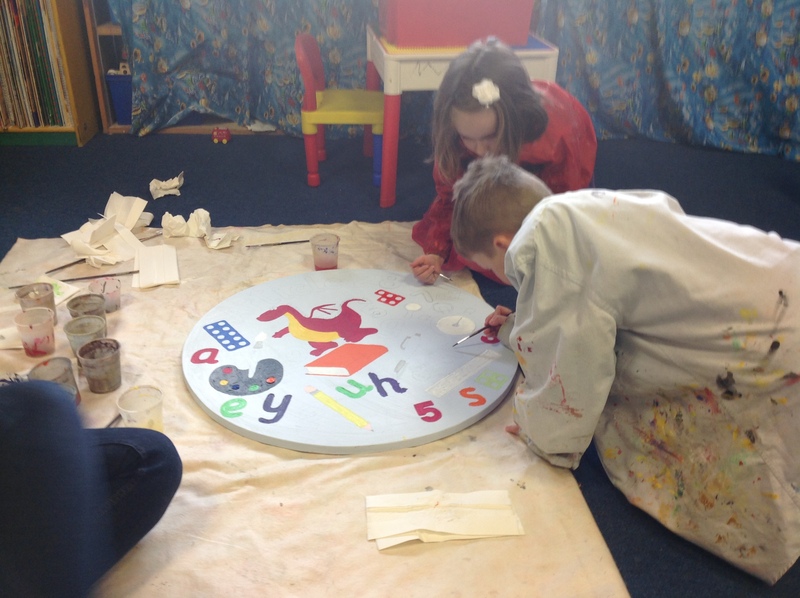 Our ethos of Create, Discover, Succeed, Together supports the 4 standards of the Rights Respecting Award. 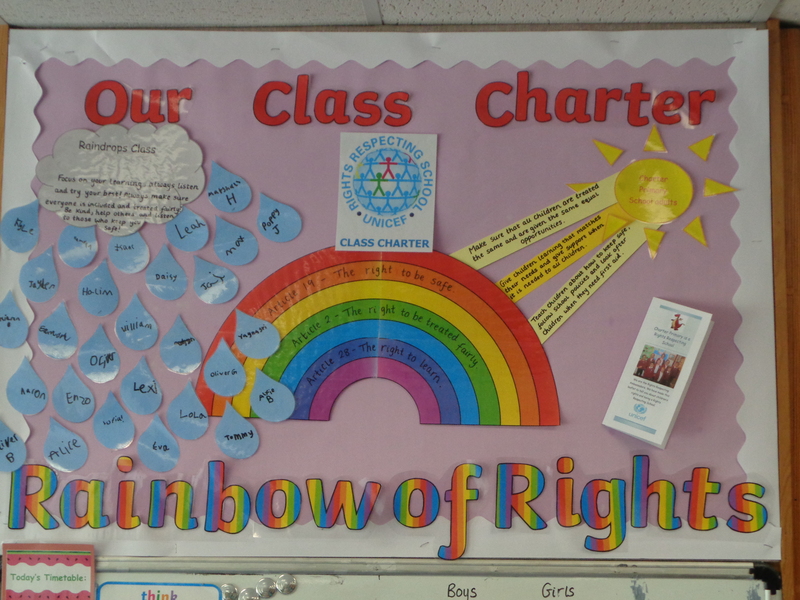 The RRSA states that the rights respecting values underpin all actions taken by leadership and management and that what is in the best interests of the child is of top priority. 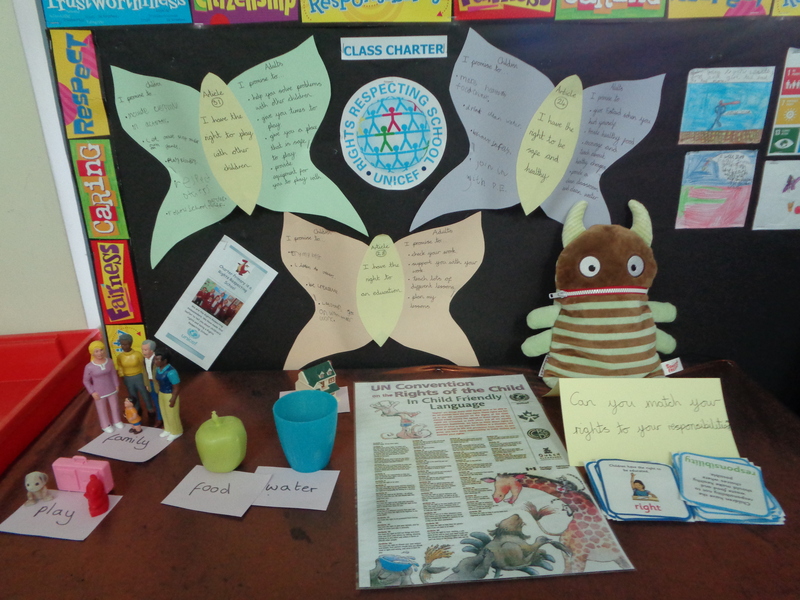 The whole school community learn about the convention for the rights of the child. 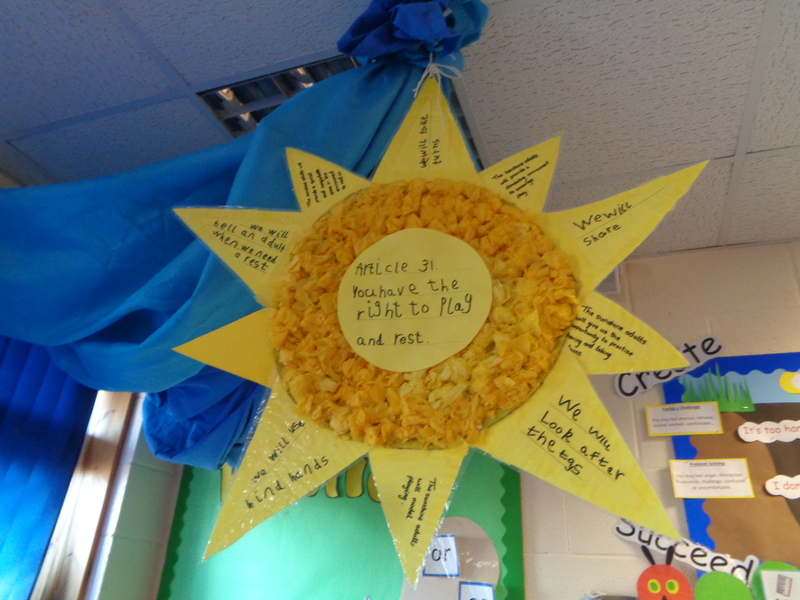 This shared understanding helps us work together for global understanding and positive living. 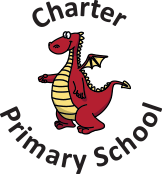 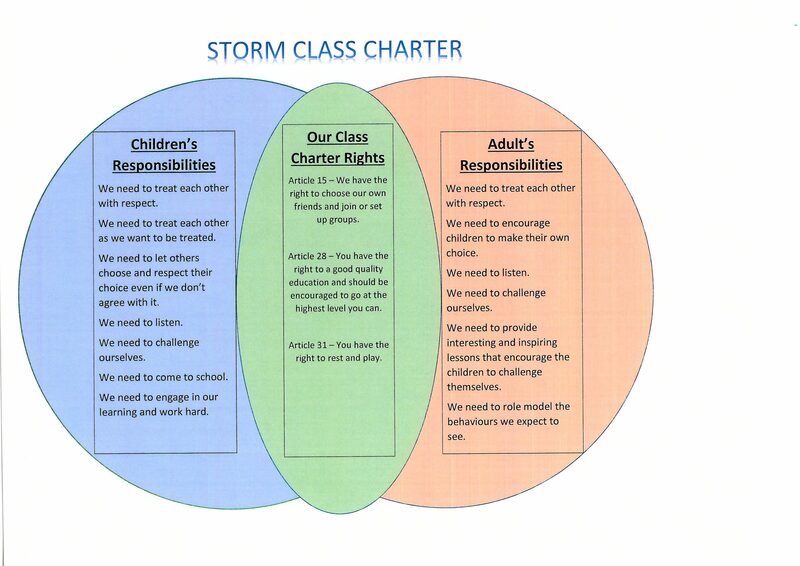 Charter school staff collaborate to develop and maintain a rights respecting community in all areas of school life. 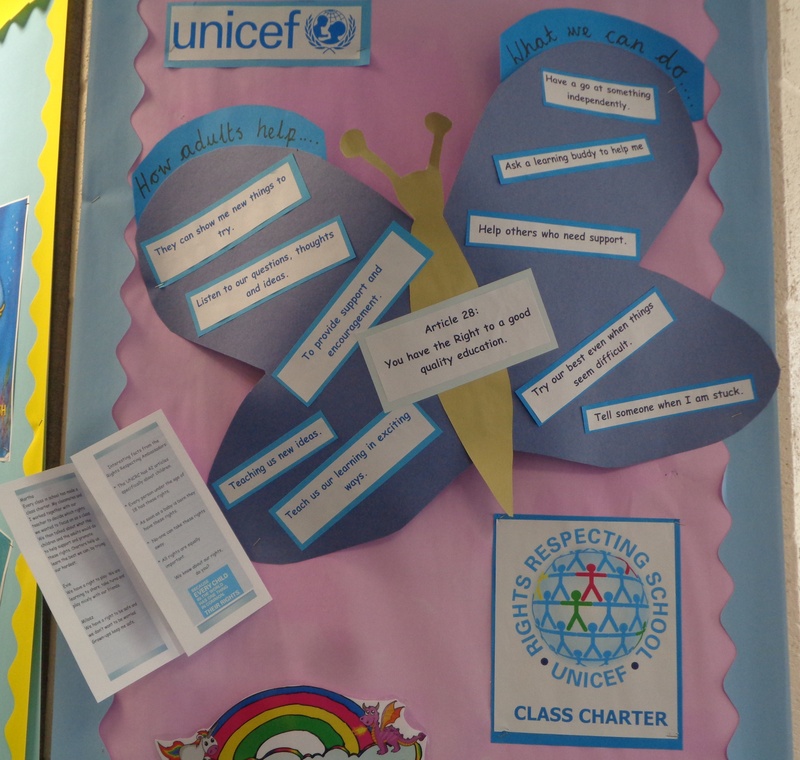 We are empowering our children through C,D,S,T to become active citizens and learners, with every child being able to say what they think in all matters affecting them and have their views taken seriously. 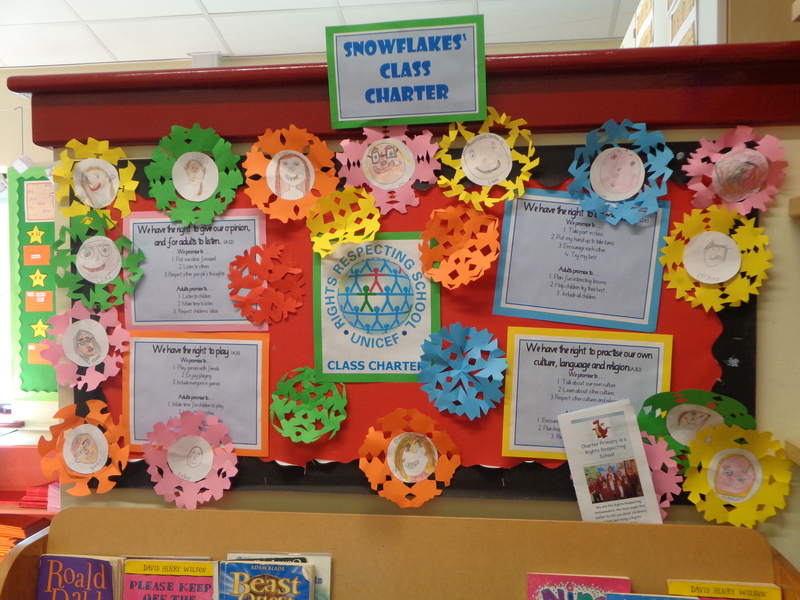 All are encouraged to take an active role in their own learning and to speak and act for all to be respected. 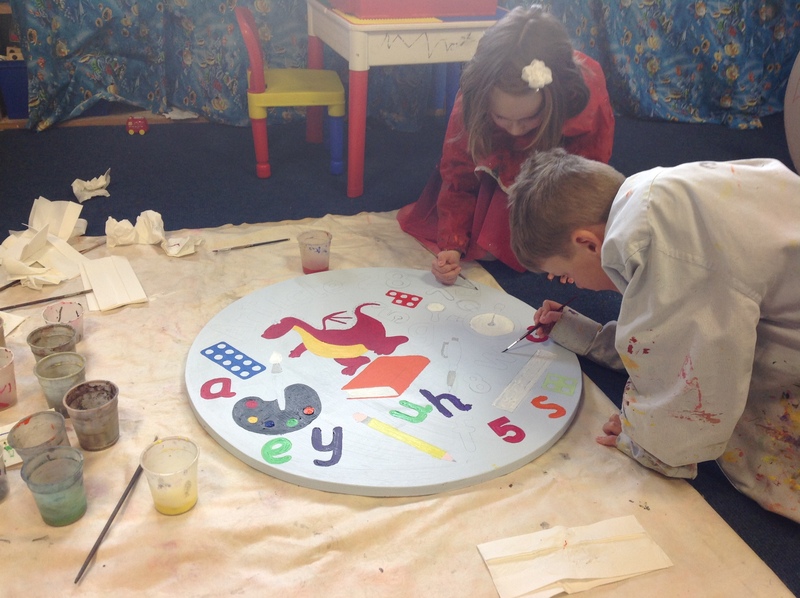 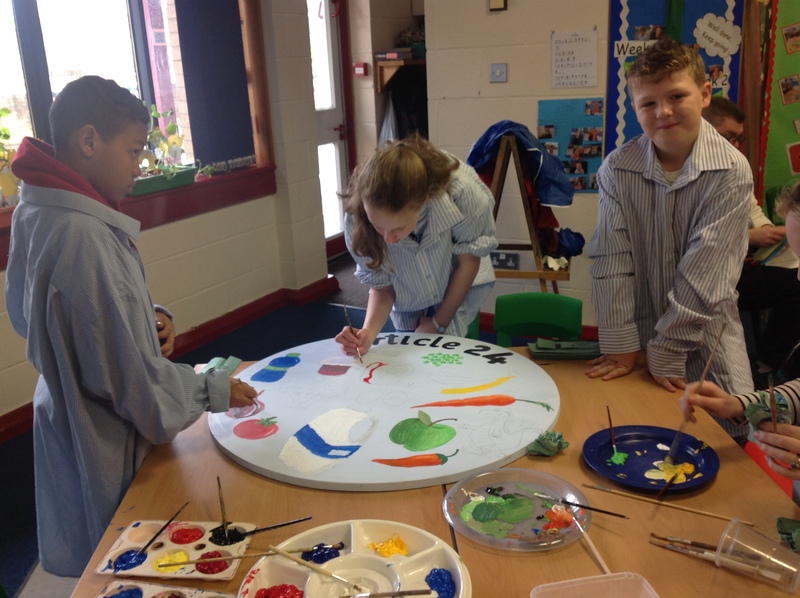 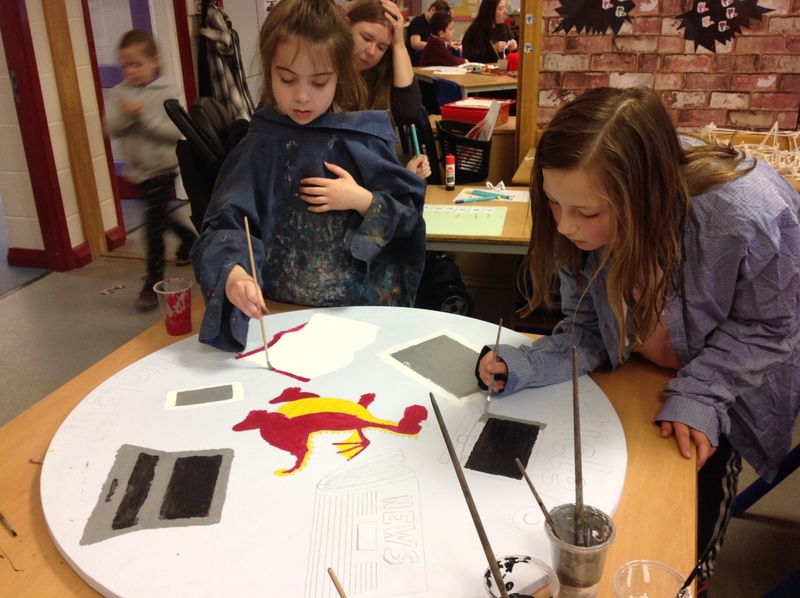 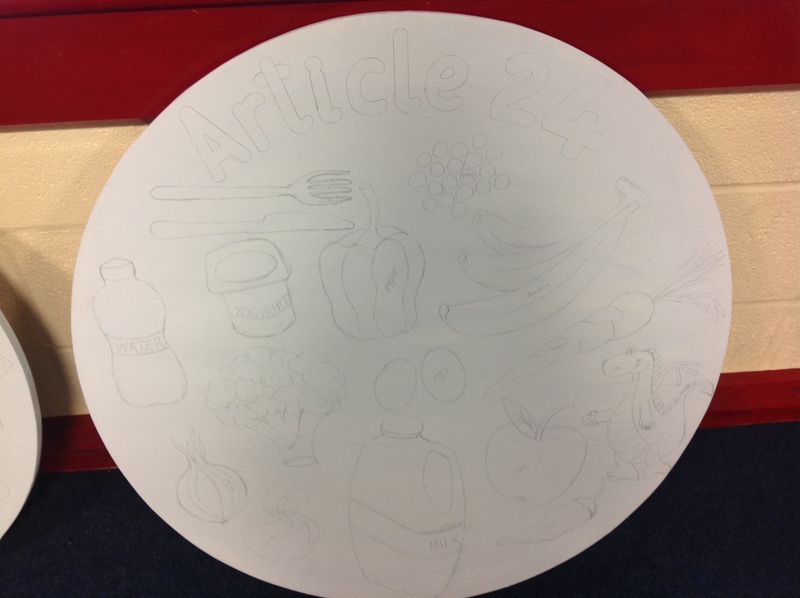 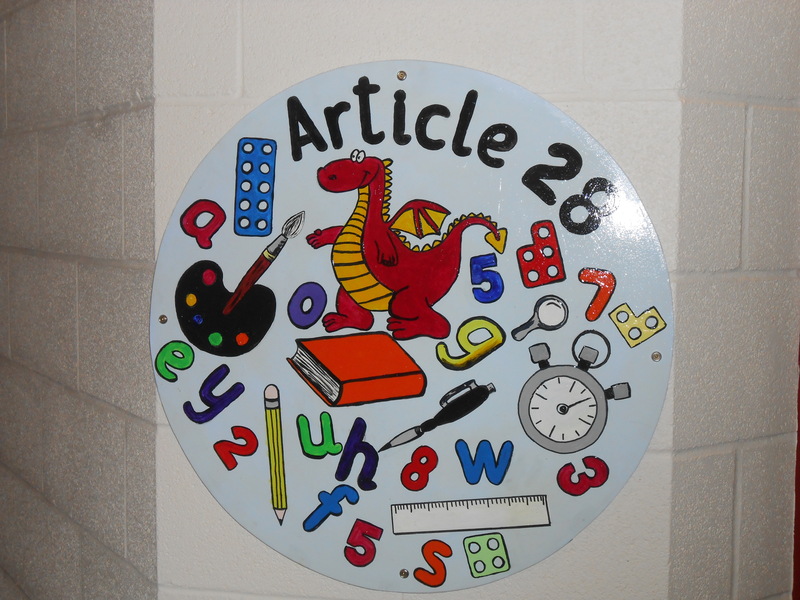 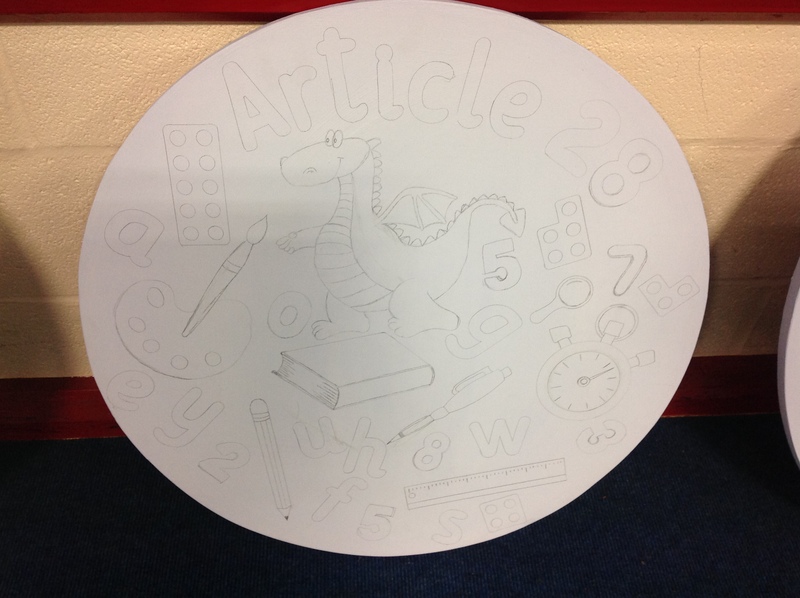 We have been busy at Charter School creating our Rights Respecting discs that will be situated around the school. 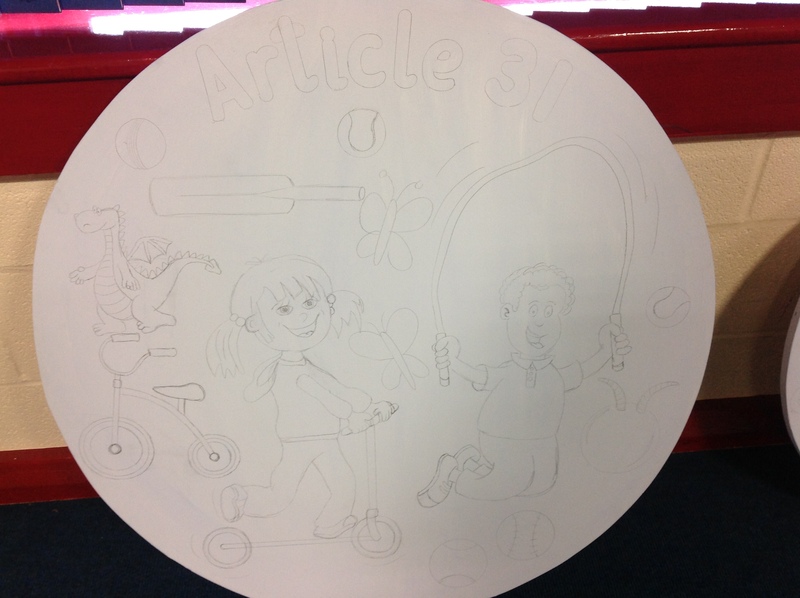 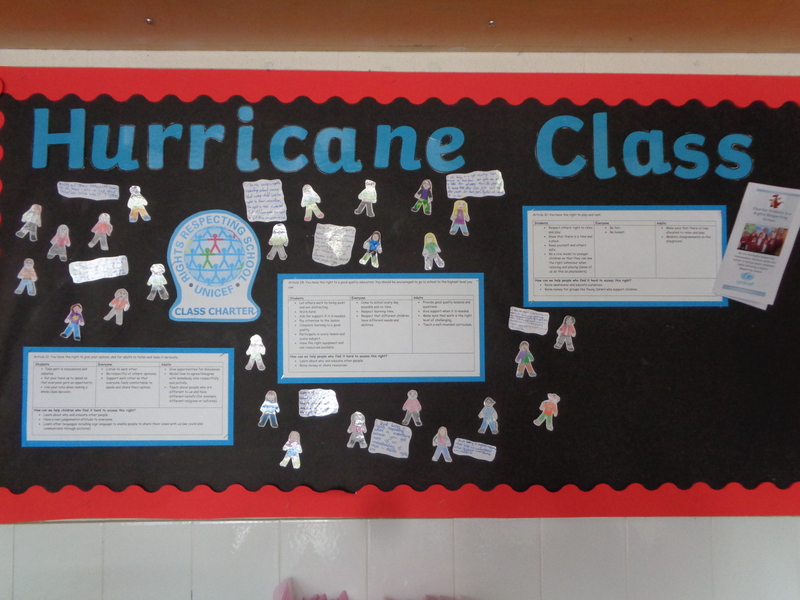 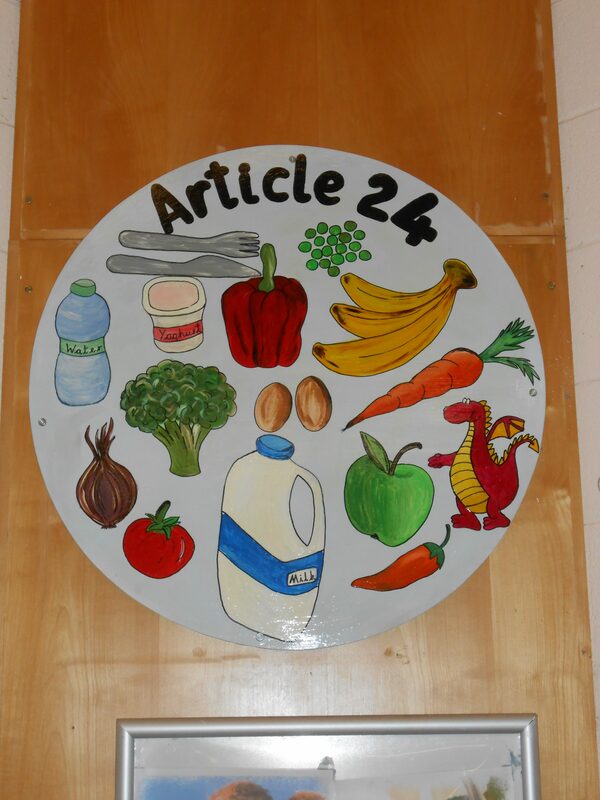 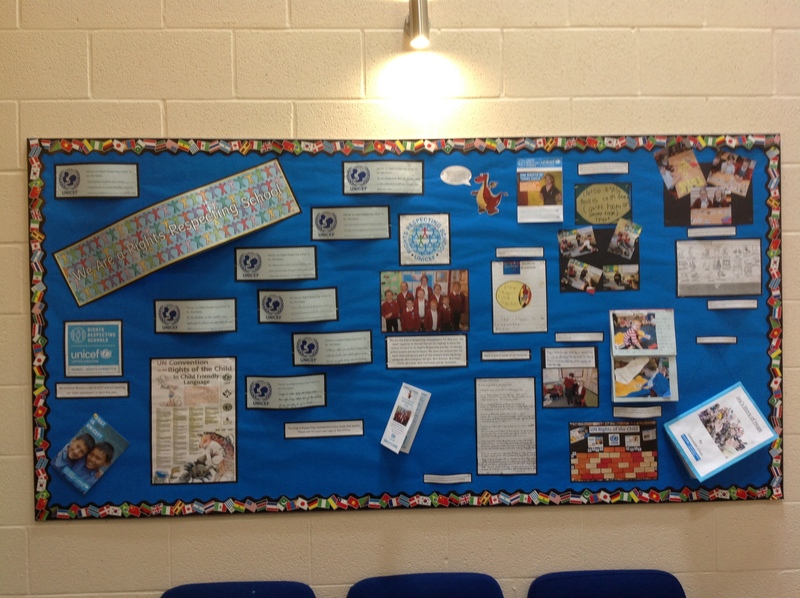 Charter children helped to decorate 4 discs, all of which represent some of the Unicef Rights Respecting Articles. 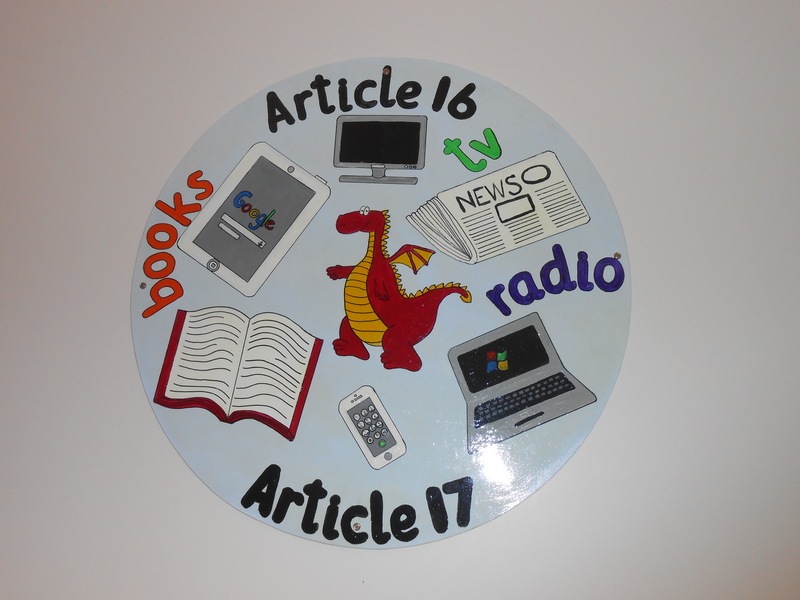 We hope that you enjoy looking at the finished discs when you come into the school. 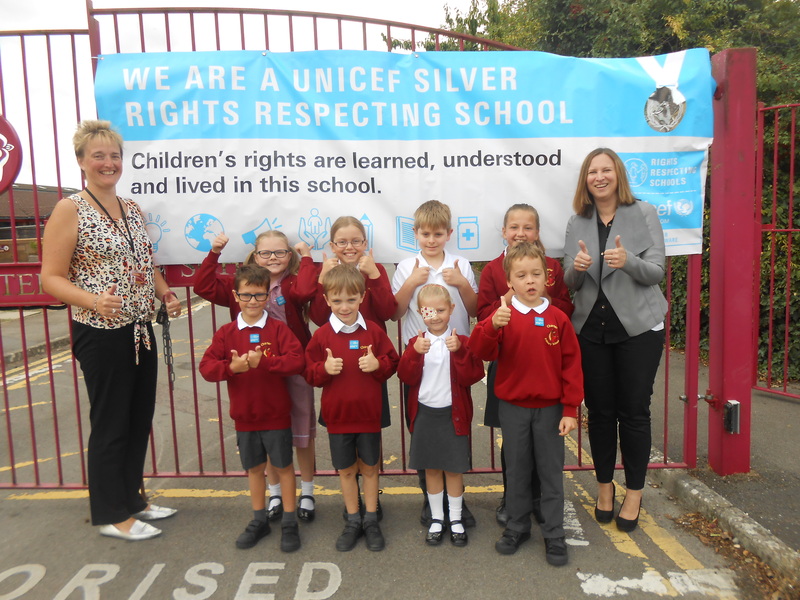 Please click here to view our Quick Guide to the Rights Respecting Schools Award.